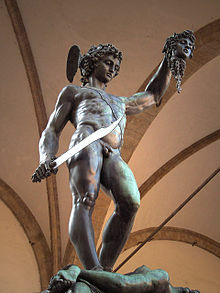 Perseus was the first Greek superhero. He defeated the Gorgon, Medusa, by means of a mirror and sleight of hand, saved Andromeda from Cetus the sea monster, and founded Mycenae, one of the centers of Greek civilization. 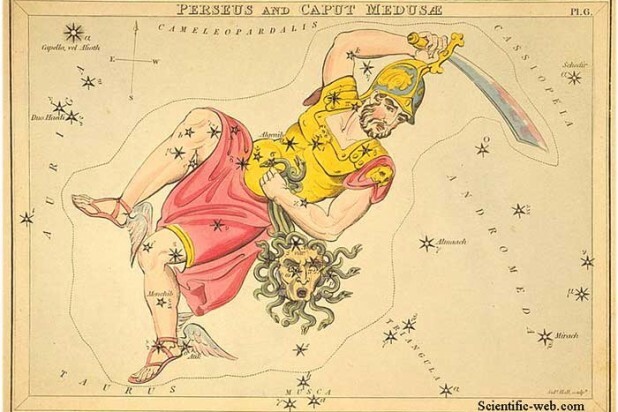 Perseus’s fame is secured by his placement as a constellation in the summer sky (northern hemisphere). Dust particles from the comet Swift-Tuttle remind us of Perseus every summer (since 36 A.D. by Chinese records) with the Perseid meteor shower, which is due to peak today. 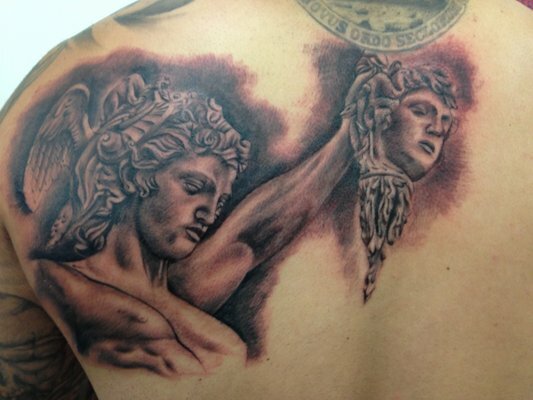 And he is memorialized in tattoos. Be sure to check Google’s banner for today. Can you get beyond the lights to see the meteor showers this year? I hope it’s clear here. Well, we once again had not only cloudy skies – but a rip-roaring thunderstorm last night! Lots of lightning, but alas, no perseids.